How bad is this winter's weather going to get? WASHINGTON -- Federal forecasters predict this winter may paint the U.S. in stripes of different weather: Warmer and drier than normal in the south, and colder and wetter than usual in the far north. The National Weather Service winter outlook, issued Thursday, gets murky in the nation’s middle belt, with no particular expectation for trends in temperature or precipitation. Still, some nasty storms might make the winter there memorable, said Mike Halpert, deputy director of the weather service’s Climate Prediction Center. The major driver of the winter forecast is a budding La Niña, a cooling of the central Pacific that warps weather worldwide and is the flip side of the better-known El Niño, Halpert said. For the South and California, “the big story is likely to be drought,” Halpert said. And that’s not good news for California, which is in year five of its drought. The winter is the state’s crucial wet season when snow and rain gets stored up for the rest of year. Halpert said the state’s winter looks to come up dry, especially in Southern California. The northern cold band that the weather service predicts is mostly from Montana to Michigan. Maine is the exception, with unusually warm weather expected. The prediction center’s track record on its winter outlooks is about 25 percent better than random chance for temperature and slightly less than that for precipitation, Halpert said. 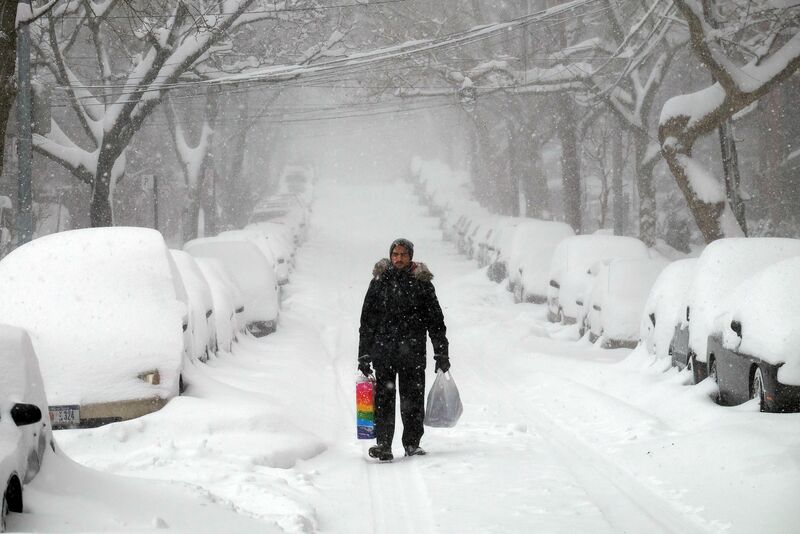 Private weather forecasters are predicting quite a different winter. They foresee a harsher one for much of the nation, including a return of the dreaded polar vortex, which funnels cold Arctic air into the U.S.
Judah Cohen of Atmospheric and Environmental Research in Lexington, Massachusetts, forecasts an unusually cold winter for the eastern and middle two-thirds of the nation, especially raw east of the Mississippi River. Cohen, whose research is funded by the National Science Foundation and closely followed by meteorologists, links North America’s winter weather to Siberian snow cover in October. He agrees that Maine will have a warm winter, and also predicts a warm Southwest. The private Accuweather of State College, Pennsylvania, calls for frequent storms in the Northeast, early snow in the Great Lakes, bitter cold in the northern tier and occasional cold in the middle. Like other forecasters, it predicts a warm and dry southwest, with some hope for rain and snow from San Francisco northward.